Mark Silverberg completed his internal medicine and gastroenterology training at the University of Toronto in 1997. He then completed a PhD studying the genetics of inflammatory bowel disease (IBD) in 2002 at the Lunenfeld-Tanenbaum Research Institute of Mount Sinai Hospital. He is currently a Professor in the Department of Medicine at the University of Toronto. His research program is funded by grants from the National Institute of Diabetes and Digestive and Kidney Diseases (NIDDK/NIH), Canadian Institutes of Health Research (CIHR) and Crohn’s and Colitis Canada (CCC). His laboratory is focused on elucidating the genetic and microbial contributors to the pathogenesis of IBD and to identify biomarkers relevant to its clinical course. He has made significant contributions to the discovery of genes related to IBD as well as being a major contributor to the field of phenomics and classification of IBD (The Montreal Classification). Dr. Silverberg has taken leadership positions on several international collaborative efforts with the goal of expediting scientific progress in the field of IBD. These include the International IBD Genetics Consortium and the NIDDK/NIH IBD Genetics Consortium. 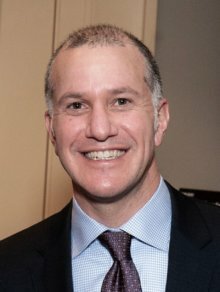 Dr. Silverberg is also the Director of the Advanced IBD Fellowship Program at Mount Sinai and co-director of the Canadian GI Fellows Program in IBD. He is currently a member of the International Organization for the Study of Inflammatory Bowel Disease (IOIBD), Chair of the Scientific and Medical Advisory Council of Crohn’s and Colitis Canada and recent Past Chair of the IMIBD Section of the AGA Council.